Taking place for the first time throughout September, Totally Thames is a new, month-long arts and cultural celebration of London’s river, featuring over 100 river-related events along its entire 42 mile course through the capital. Delivered by the same team behind the Mayor’s Thames Festival, this inaugural programme will feature arts, music and community festivals, colourful regattas, river races, foreshore archaeology, exploration, environmental and educational activities, as well as river-linked activities in all 17 London riverside boroughs. One event encompasses the river in its entirety – the Source to Sea River Relay is the journey of a bottle of water, taken from the source of the River Thames carried down the entire length of the river to central London. This event will involve communities along the whole of the Thames from its source in the Gloucestershire Hills to the Thames Estuary. Some areas along the Thames are getting involved for the first time in 2014, such as Nine Elms on the South Bank, central London’s newest district. This location will be showcasing two Totally Thames commissions. Firstly, renowned Dutch artist Florentijn Hofman – known for his outsized Rubber Duck – will present his first ever UK commission, an extraordinary new sculpture for the River Thames. Secondly, on the evenings of Friday 5th and Saturday 6th September, The Fire Garden by Carabosse at Battersea Power Station, one of the last ever public events before the site closes for development, will see the internationally renowned French installation artists transform the iconic grounds into a spectacular display of fire and light – a ‘fire garden’ if you will. Other major events being delivered by partners for the inaugural Totally Thames season include Blue Ribbon Village, The Big Thames Tidy (presented by Thames21), The Thames SENSEation (designed by the award-winning House of Gastrophonic in partnership with The Northbank) and dozens of river events, in Richmond, Kew, Brentford, Hammersmith, Imperial Wharf, Wandsworth, Vauxhall, South Bank, More London, St Katharine Docks and the Isle of Dogs, amongst others. 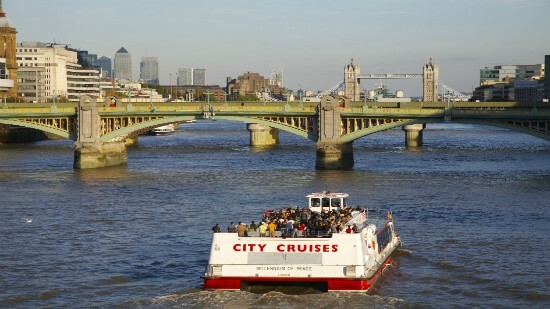 And, to encourage people to travel by river, Totally Thames will be promoting 2-for-1 ticket offers on most Thames river services throughout the month of September. For a full listing of the events taking place as part of Totally Thames head to totallythames.org.